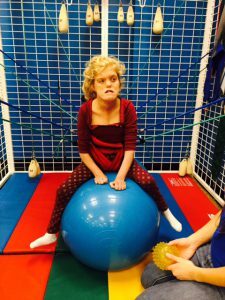 Erika was born June 30, 1995 with CHARGE Syndrome, a medically rare and very complex syndrome. At the age of 20 she has endured over 52 surgeries. At the age of one, she had her second heart surgery; post operatively, she went into blood pressure arrest followed by cardiac arrest. The “stroke” caused brain damage resulting in a secondary diagnosis of Cerebral Palsy. Erika’s strong will and determination gave her the ability to rise above all challenges. During the first several years, Erika’s medical complications were tough. She spent her first 5 months in the NICU, then later 2 months in the PICU. Home services of Physical and Occupational Therapy began immediately. She had low tone on one side and high tone on the other. Her orthopedic issues were becoming more noticeable. She had a hip osteotomy, muscle releases, casting, bracing and multiple Botox injections. She attended 17 month-long intensive physical therapy sessions across the country. She was walking in her walker, or with assistance. But her orthopedic issues were becoming more pronounced. Her hip was getting worse. One leg was not growing, her scoliosis was becoming worse. By February 2015, she could no longer stand on her left leg. The pain became so severe she cried often and could no longer walk in her walker or with assistance. She could not even help with pivot transfers. Her hip was twisted, turned in, was not covered, and full of dead bone. We went back to her orthopedist, who could not offer any help. We went to another, then another. We were devastated after three well know orthopedists said they could not help her. All her hard work had come to an end. 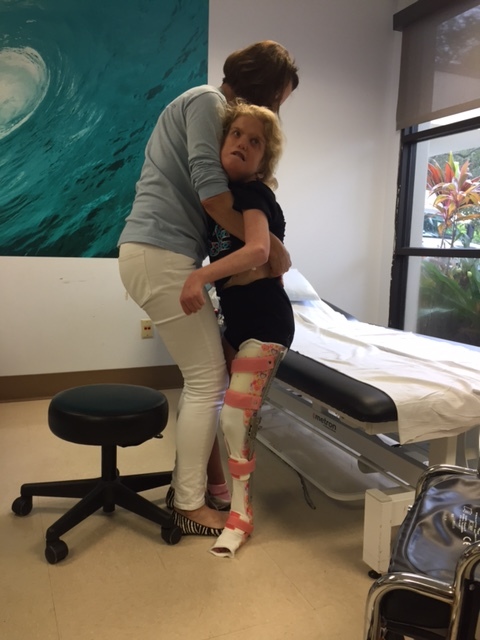 During the last orthopedist appointment we were told that we needed to get used to the fact that walking was not in her future and she should concentrate on being a good sitter, and we should focus on giving her anti-inflammatories. Shortly thereafter, Erika’s physical therapist told us about Dr. David Feldman, and that several other patients thought very highly of him. 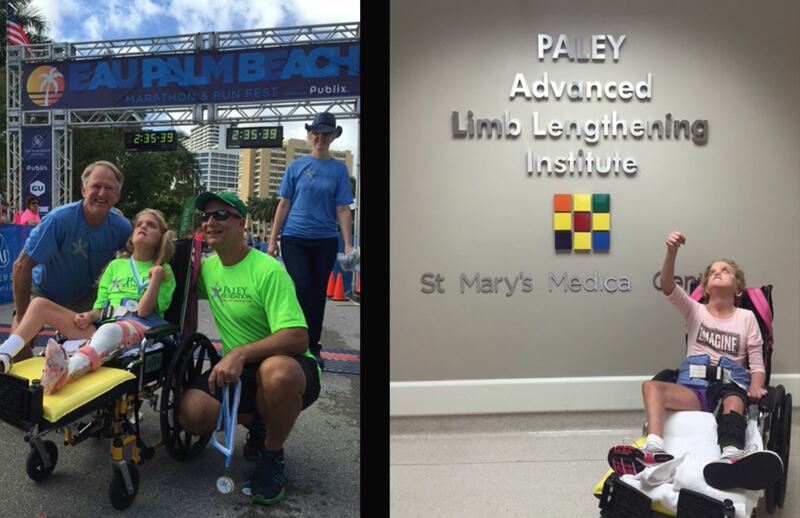 We were not ready to give up, but to see a fourth orthopedist was a long shot. We got an appointment as soon as we could, and it happened to be the same day the Pope was in NYC! From the minute we met Dr. Feldman a breath of hope came on us. He said “don’t tell me what others said they can’t do, let me tell you what I can do.” He talked to Erika like she was a person. He saw her pain. A month later we were on our way to the Paley Institute in West Palm Beach. Enjoying time in Florida! Before (left) and after (right) surgery. Some people questioned putting Erika through more surgery, but we could not accept that her life as a weight-bearing, assisted walking person was over. Dr. Feldman gave us hope, and he truly believes in Erika’s abilities. Sure we have had and will have bumps along the way. But we would 100% do it again. Dr. Feldman and the team at the Paley Institute were and are the most amazing team of caring people we have ever met. Erika had a pelvic support osteotomy (a new hip) and precice nail for lengthening in the femur of her left leg. We “grew” her leg 4 times a day for 30 days. She grew almost 2 inches. She now only needs a 1 inch lift on her shoe. She has a pain free hip, she sits straight, and she can lay flat on her stomach for the first time. 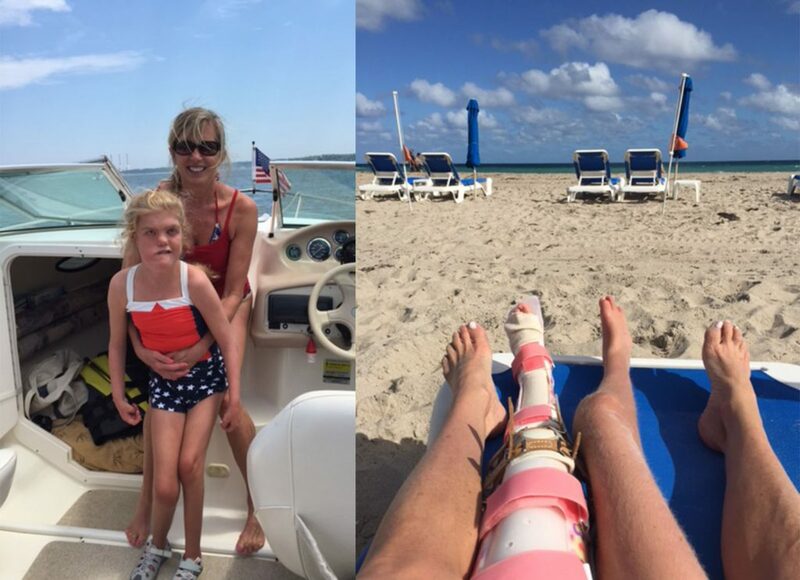 We stayed in Florida for 2 months as she recovered, grew her leg, and rehabilitated. We returned home and she did physical therapy 1 & ½ hours a day for the next 3 weeks, and we continued doing her stretches and exercises at home 3-4 times a day. She is now back at school, receiving physical and occupational therapy 4 times a week and we take her after school 2 times a week, as well as doing it at home during the weekends. She is 100% healed. Her bone has completely consolidated. She is weight bearing on both legs and beginning to walk again. She is laughing and happy again. We see Dr. Feldman again in March and our goal is for her to take steps into his office and give him a hug.